Although Africa offers, quite undeniably, the best wildlife and safari opportunities in the world, it is not all just about wildlife and open plains. We have mountains, lakes and beaches. We have caves, sheer rock faces, and the ocean. We have tiny villages and huge cities. Jungle and forests. Flat savannah plains and harsh desert. Tumultuous and tranquil rivers. A lake so big it looks like an ocean. Plus loads of World Heritage sites. Africa has even spurned forth the oldest specimen of human life ever found. And while the first human specimen may not have been fortunate enough to enjoy the range of adventure activities on offer in Africa today (catching and clubbing one’s dinner was adventure enough), us modern folk can certainly enjoy the adventure fruits of Africa. Here, there is something for everyone. 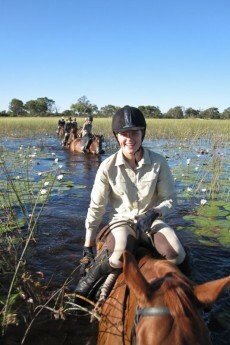 Exciting activities include hot air balloon rides over the Serengeti while you witness the annual Wildebeest migration, helicopter flips over game-rich areas, white water rafting on the Zambezi River, bungee jumping, swimming at the edge of the Victoria Falls, game drives in open 4×4 vehicles, game and nature walks in wildlife reserves with experienced guides, horse- and elephant-back safaris, climbing Mt. 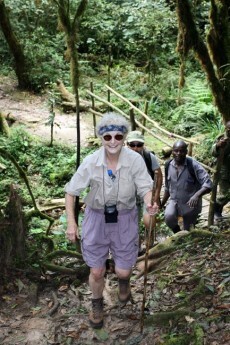 Kilimanjaro, western lowland and mountain gorilla tracking safaris, 4×4 off-road adventure trails, rock climbing, and more. Lake areas offer watersports such as fishing, diving, swimming, boating, skiing and abseiling. Seaside areas offer beautiful beaches, jet-skiing, skiing, wind-surfing, boating, surfing, deep-sea fishing, whale-watching, swimming with the dolphins and shark-cage diving. Mountain areas include climbing, scrambling, hang-gliding and cable-car trips to the summit. Villages offer a peek into indigenous cultures and a unique way of life, while cities offer world-class shopping, golf courses, entertainment, casinos, leisure activities and restaurants. Accommodation throughout Africa ranges from some of the best lodges and hotels in the world to safari-style tented camps and more rustic quarters for those who are adventurous at heart and looking for a truly authentic, African experience. To get the most of your trip to Africa, and to experience the variety that Africa has to offer, why not drop XA African Safaris a line? We will tailor-make a trip to suit your preferences, travelling style and budget. No matter where you stay or what adventure you choose, you can be assured of professional and friendly service, tons of experience, attention to detail, seamless transfers, efficient and knowledgable guides, guest safety, and a trip that is sure to blow you away and have you coming back for more. Few names have such powerful resonance. It echoes like a spell, evoking awesome images on a par with Table Mountain, the mighty Victoria Falls, the Ngorongoro Crater, and the Sossusvlei, the tallest sand dunes in the world. It signifies somewhere special. It is as evocative of the continent as the elephant: huge, stately and beautiful! We’re talking about Tanzania’s Mount Kilimanjaro – one of the largest volcanoes and the highest freestanding mountain in the world (it’s not part of a mountain range) – which towers 5,895 m above sea level. The ascent of Kilimanjaro, recognised as one of the great walks of the world, appeals to all types of people, regardless of age and ability, and an extraordinary range of people are drawn to its summit, and mystique. The climb from arid plains through humid tropical rainforests and alpine meadows, moorland and desert uplands, to an icy wasteland, takes one on an extraordinary journey: fascinating flora, arduous trekking, and extravagant scenery. Kilimanjaro is a quintessentially African icon. On a clear day it is visible from Nairobi, some 200 km away, yet at times, when the sun is low and the clouds are light, its glaciated summit suddenly materialises on a bed of clouds, appearing to float in space. Kili seems more fit for a dream than any reality. Fitting then, that Africa’s tallest mountain plays a part in so many people’s dreams. Each year, thousands of ambitious adventure seekers attempt to fulfil their goals (and dreams) by climbing Kilimanjaro. A UNESCO Wold Heritage Site, and Africa’s tallest mountain, it’s also one of the planet’s coveted Seven Summits. Conquering Kili does not require the technical climbing ability required by so many other mountains. Despite its readily accessible slopes, variety of sound operators, a choice of routes to suit your ability, an abundance of porters, KINAPA trained guides, and a relatively mild climate … many don’t make it to the top! So, if you are up for a challenge or a milestone in your life – be it personal or for charity, climbing solo or with a group, elation or deflation – then Kili is for you.